We have a new Sunday morning breakfast tradition, and it is just delicious (and not as unhealthy as you might think). I received this amazing little gizmo for my birthday from my friend Mel. Is it not so cute? 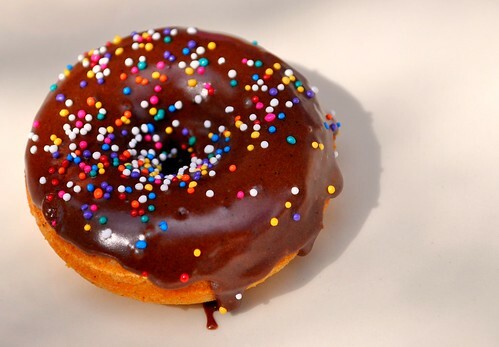 It has sprinkles on it! 1. Take that little recipe booklet that comes with your machine. 3. 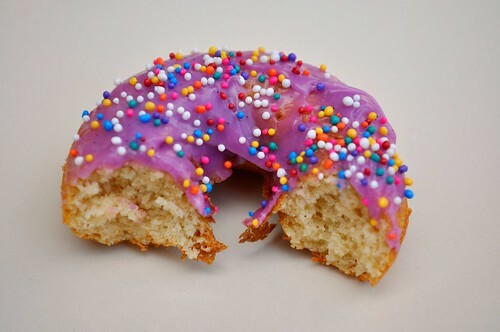 Buy yourself a delicious doughnut recipe book or hit the baking blogs. 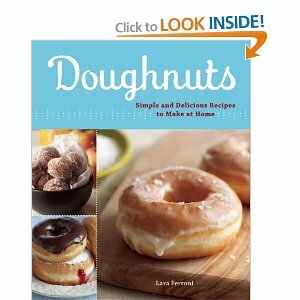 This is the recipe book I have and the baked cake doughnut recipe is phenomenal. SO delicious. Melt butter in a saucepan, remove from heat. Add sugar and vanilla extract and whisk together. Add water 1 T at a time until the glaze reaches the desired consistency. Use this on cookies and cakes as well. Trust me. I used the chocolate glaze recipe from the cookbook above, and it was pretty great. When the glaze has some cocoa in it, it doesn't taste overly-sugary like the plain 'milk + sugar' glazes. If you don't have a machine, you can also buy doughnut pans for use in the oven or you can totally cheat and make them in muffin tins. I love the machine because it's convenient, easy, cooks evenly, and doesn't heat up the house. 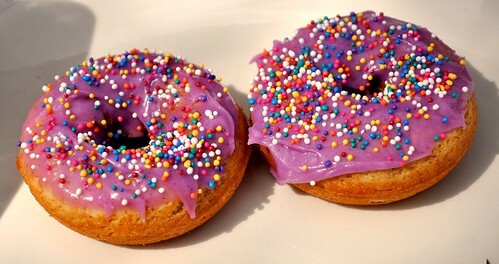 I seriously want some of these right now! They look so delicious. May have to change the waffle tradition to the doughnut tradition. I really liked the cake doughnuts. So much better than the included recipe. And nice food pictures! Those look delicious (and cute)! 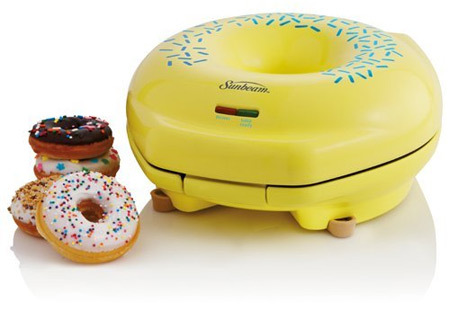 How do I not own a doughnut maker? Mel - I do! Thanks!! !